Ideal as a gift for any occasion! Gift vouchers are available from £10 with incremental increases of £10, e.g. £20, £30, £100 etc. All gift vouchers will be presented in an envelope. e-Gift vouchers are also available. Come in the restaurant and ask a member of staff. Alternatively, call us on 01223 506248 or email us via wokngrill.giftvouchers@gmail.com. To purchase e-gift vouchers, please email us via wokngrill.giftvouchers@gmail.com. Please inform us if you have a preference on the combination of £10 and £50 gift vouchers. For example, for a total value of £50, you can choose between 5 × £10 and 1 × £50. Each gift voucher can only be redeemed once. If you do not spend the entire amount on a gift voucher in a single occasion, the remaining balance will be cancelled. e-Gift vouchers are available at any value from £10. Gift vouchers can be collected in person at the restaurant. Gift vouchers can also be posted to a UK address via Royal Mail 1st Class. This will involve a handling fee of £3.50 (postage inclusive) for any amount of gift voucher posted to a single address. e-Gift vouchers will be sent via email at no additional fee. Gift vouchers will be dispatched and e-gift vouchers will be emailed as soon as possible usually by the next working day (Tuesday-Saturday) after the payment is received. For delivery by post, Royal Mail aims to deliver all 1st Class mails the next working day, however, delivery can take 2-5 working days. Cash and major credit/debit cards except for American Express. Payment can be made over the phone by calling us on 01223 506248 during our opening hours. We are open from Tuesday to Saturday and bank holidays (excluding Christmas & Boxing days) 12:00-14:30 & 17:30-23:00 and Sunday 12:00-21:30. Online payment can be arranged. Please note there will be an online payment charge depending on the value of gift vouchers purchased. For your reference, for gift vouchers worth £50, the online payment charge will be £1.90. Please indicate your preferred payment method. Not valid on discounted or promotional offers. Can be used as payment for any meal at our restaurant. Will be affected after 24 hours when it was sold. 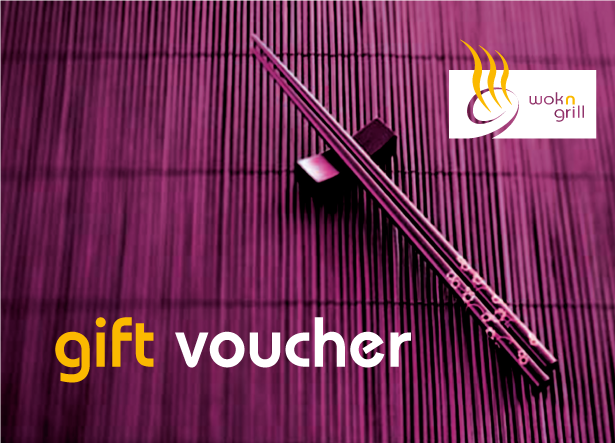 Wok n Grill reserves the right to amend the terms & conditions of gift vouchers at any time without prior notice. Elegant gift wallets printed with "A special gift for you". 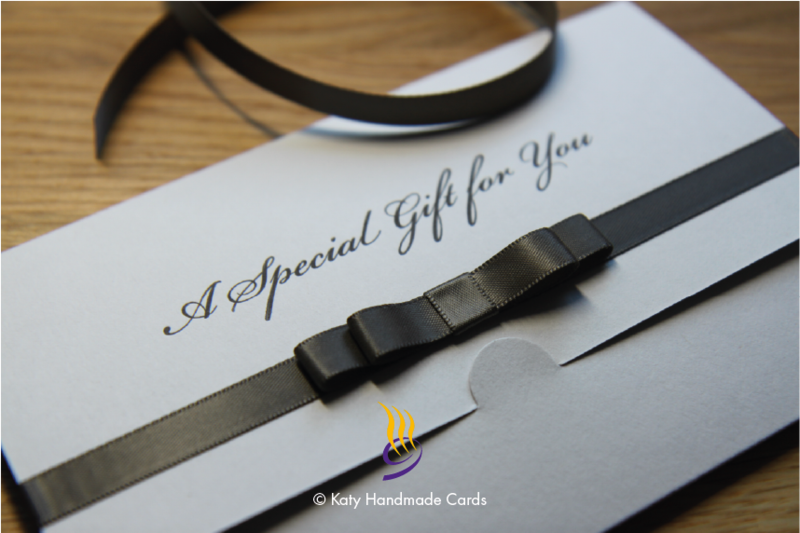 Ivory or cool grey card, letterpress printed text in black ink with satin ribbon in your choice of colour (choose from available shades). 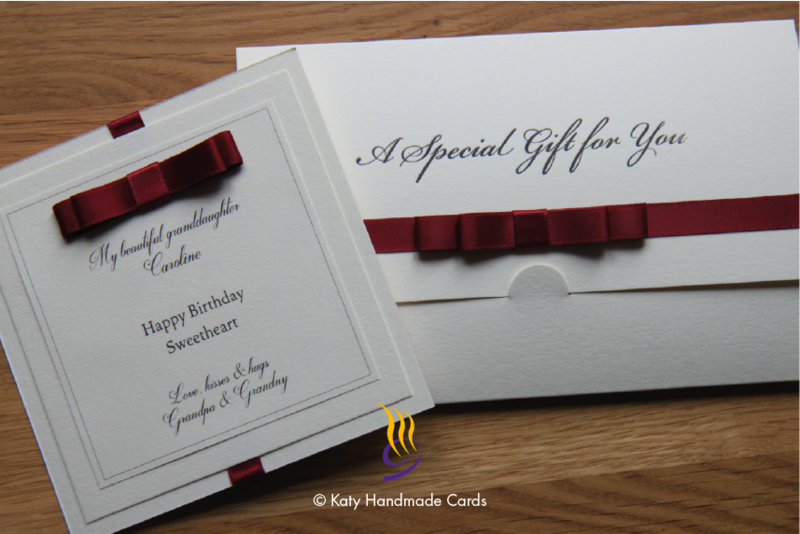 Classy message cards printed with your own message. 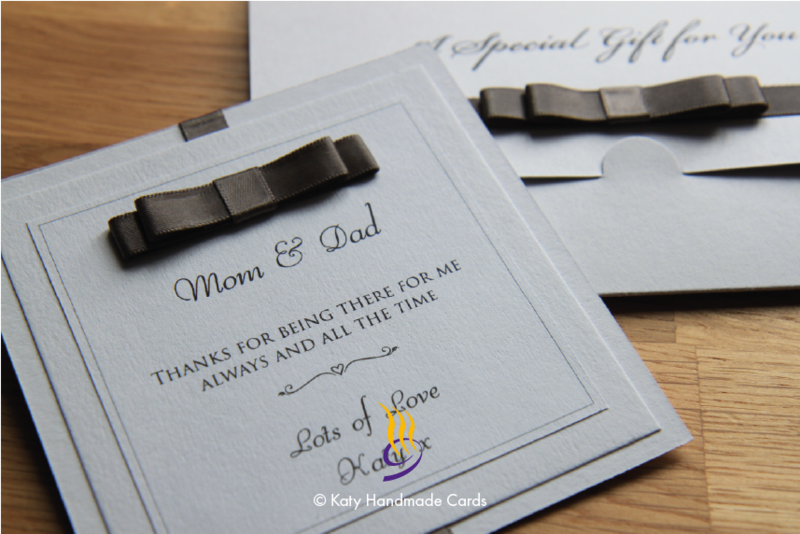 Ivory or cool grey card (11cm x 11cm), digital printed message in black ink with satin ribbon in your choice of colour (choose from available shades). For delivery by post, please let us know the name and address of the recipient. Please note this will involve a handling fee of £3.50 (postage inclusive). Find out more from Collection & Delivery.